The Draskovich Law Group is the local, award-winning law firm to call when you need a winning defense strategy. Let us help you. 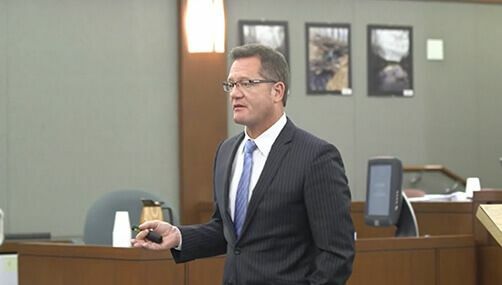 If you have been arrested, charged, or criminally accused in the Las Vegas area, do not wait another moment to speak with the defense team at The Draskovich Law Group. Our firm is highly acclaimed due to our ability to effectively defend individuals facing all types of misdemeanors, felonies, state charges, and federal charges. To us, we aren’t just going to bat for our clients. We are fighting for their rights and freedoms and take this duty seriously. While prosecutors may be seeking a conviction, we are more interested in protecting your Constitutional rights. As trial-tested Las Vegas criminal defense lawyers, we know what it takes to make a difference for our clients. We want to see you get the second chance at life – your deserved opportunity for a better future. Results matter to us just as much as they matter to you. When the stakes are high, we rise to the occasion to provide our clients with our best efforts. We have a long history of success in the Las Vegas courts. With over 25 years of combined experience, our reputation for consistently high-quality work goes unmatched. The vast majority of our clients are direct referrals from people we have actually helped - when our clients get the results they want, they recommend us to their family and friends. All the charges were dropped and the case was dismissed! Best Defense Attorney in town. Folks, this guy cleans up what the other so-called "best" lawyer's can't achieve!!! The Draskovich Law Group is one of the most established criminal defense law firms in the Las Vegas area. We have successfully handled numerous high-profile cases and other criminal defense matters that gained national media attention. We are not a firm that focuses on volume; rather, we give our clients the personal attention they deserve. Because we actually get to know our clients, we understand their unique concerns and anxieties. We are more inclined to do right by our clients – not just hedge a plea deal or easy settlement. Our Las Vegas criminal defense lawyers are highly prepared, equipped, and qualified to help defend you. Our firm consults with experienced experts to ensure you have the resources necessary to succeed.